Could this be a Tesla Killer? If you haven’t heard of Henrik Fisker, then it’s time to take note—he could very well change the electric car game with the Fisker EMotion. 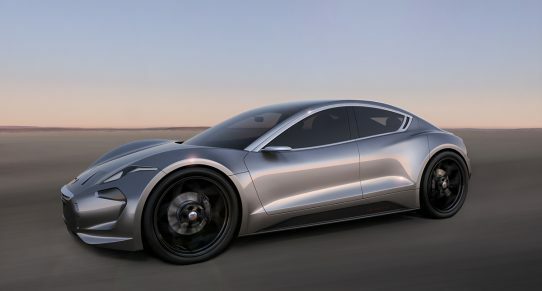 According to Fisker Inc., the EMotion is designed to achieve an all-electric 644 km (400 mi) range, beating the Tesla Model S by 137 km (85 mi). This will be made possible through their graphene-based hybrid supercapacitor technology, currently being developed by Fisker’s battery division. The sleek sedan will have a top speed of 259 kp/h (161 mph), with a body structure composed of carbon fiber and aluminum. With its official debut slated for next year, the EMotion is primed to become a consumer-friendly electric car that’s set to rival Tesla’s offerings, given its specs and price point.